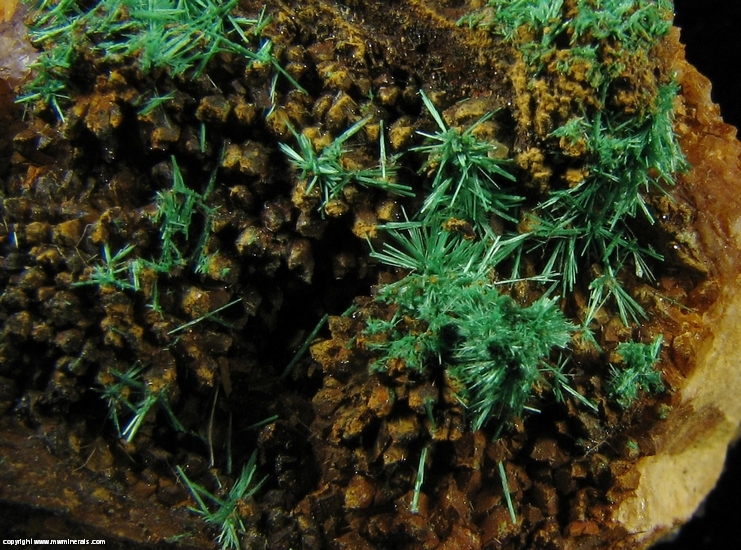 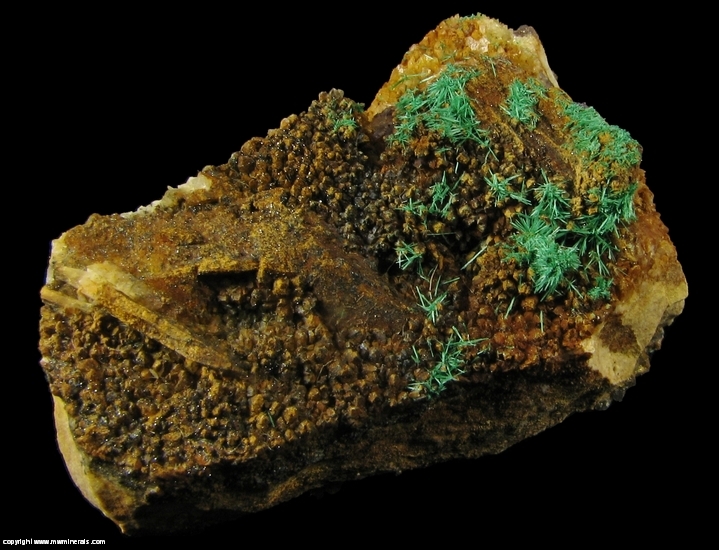 Sprays of delicate, well defined, bright green Brochantite contrast nicely on one side of the specimen with the dark orange coating of limonite and on the other side with the purple Fluorite. 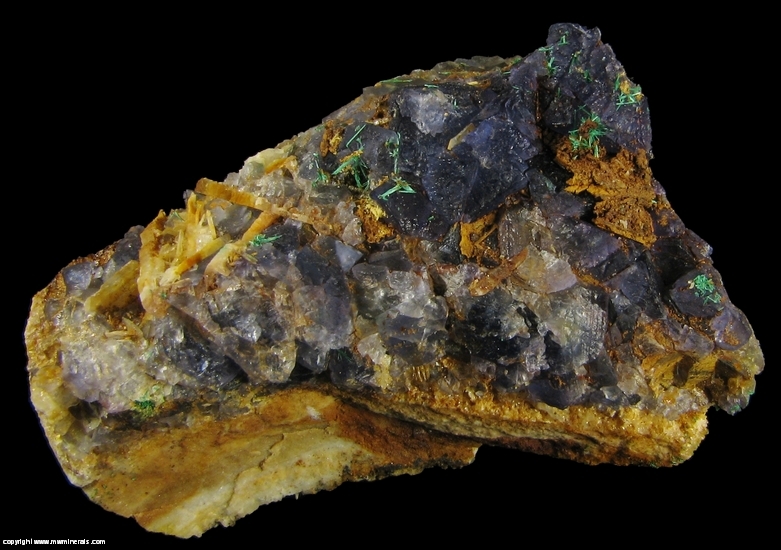 Mixed in with the Limonite are black micro crystals with flat faces and high luster which gives the specimen a bit of sparkle. 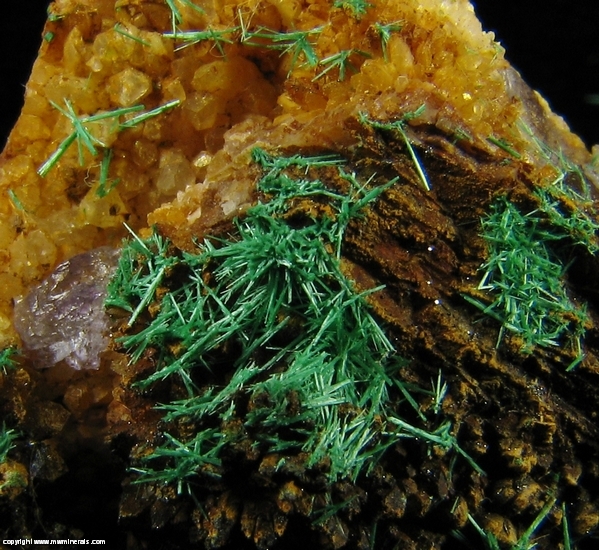 Underneath are small Quartz crystals and bladed Barite crystals. 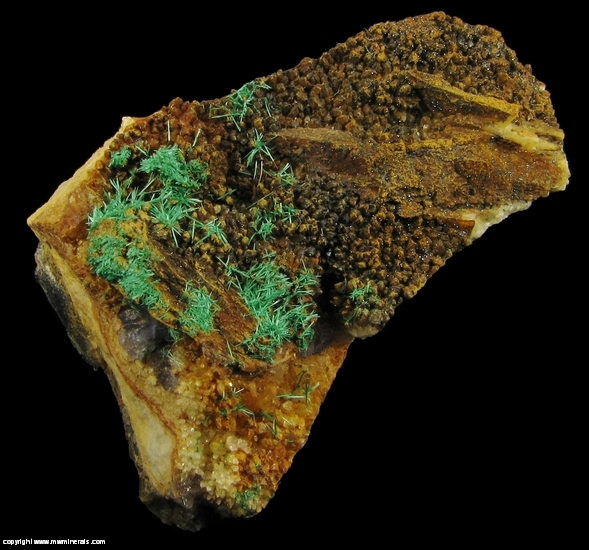 The Limonite side of the specimen is in very good condition with no appreciable damage. 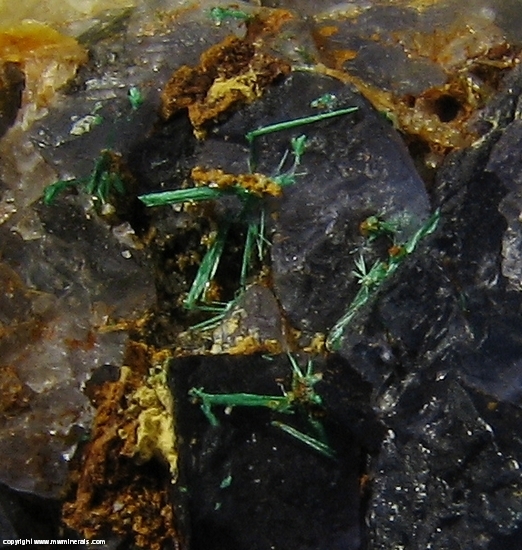 On the other side, there is some damage to the Fluorite.